Gazebos are a great place to retreat to on hot summer days, as the open design allows the breeze to flow through and the roof provides plenty of cooling shade. For this reason they are popular in warm and sunny climates as an outdoor entertaining area. Typically they are not attached to the house, instead standing alone in a large garden or backyard. In addition to being freestanding, gazebos are typically roofed, although some may have the structure of a roof without any of the shingles. 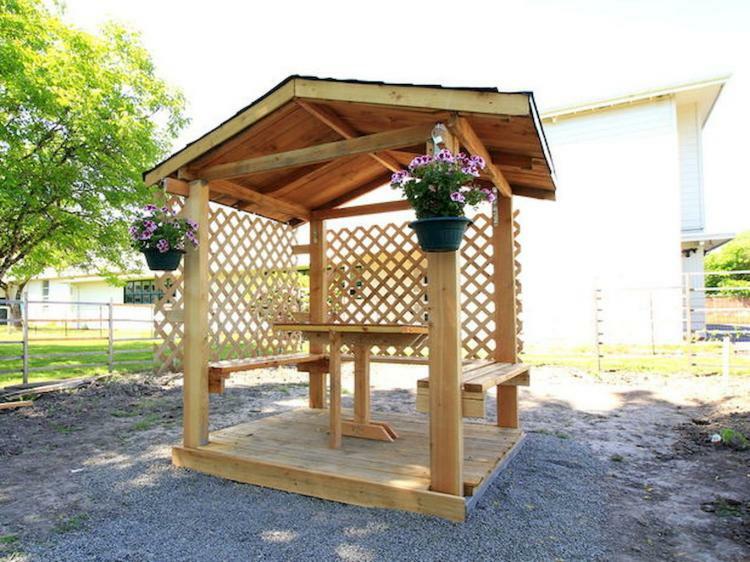 While the gazebos we usually think of tend to be wooden and permanent structures, you can purchase portable structures that will allow you to take your cozy outdoor seating area basically anywhere.